I’ve always shied away from lipstick preferring their gooey, shiny, plumping, gloss counterparts instead. Lipsticks just seemed too – mature? dry? flat? 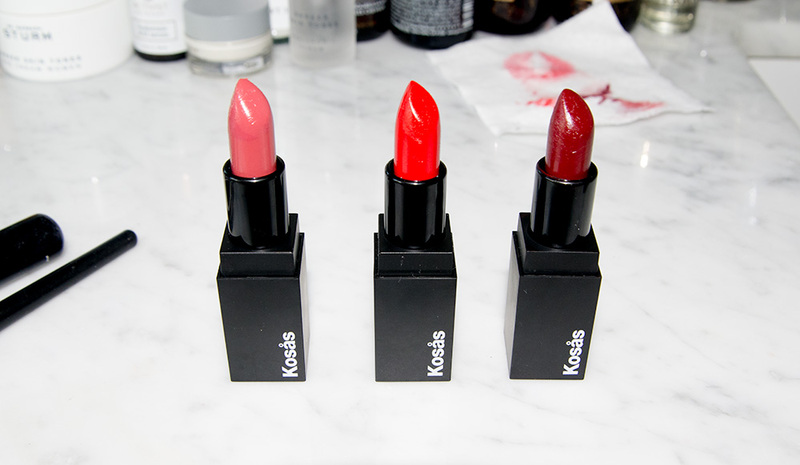 – but then along came Kosås’ line of sheer to full coverage lipsticks to make me a changed woman. The hydrating tints, besides looking pretty, protect against UV and environmental stressors; nourish with antioxidant ingredients, like green tea, rosehip and grape seed oils; are made without preservatives, fragrances or harsh chemicals; and come in universally flattering tints. One swipe of their poppy red lipstick with orange undertones known as, ‘Thrillest,’ and I was a convert – perhaps, devotee. These lipsticks will protect and nourish, and the semi-matte full coverage tints will last through a meal or two.